Whatever scale of civil asphalt works you need performed, we can assist you with our specialist, experienced civil asphalt services. We are renowned throughout Melbourne for our expertise. We use state-of-the-art equipment and a talented team to deliver high-pressure civil contracts on time and according to budget. Our rates are also highly competitive. If you want civil asphalt with really staying power, with a clean, smooth finish, call on Asphalt FX. 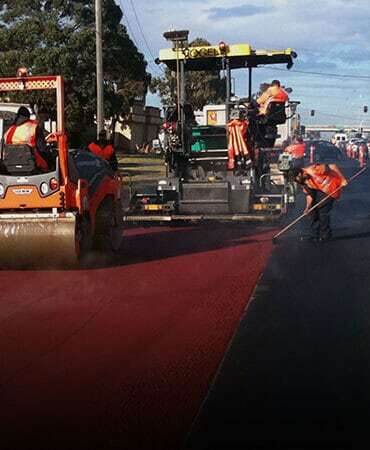 We have experience throughout our range of different types of civil asphalt works, so you know we have the expertise to complete this specialised type of asphalting work. In fact, we have fifteen-years’ experience in all forms of asphalting. We are also fully insured, and all our work comes guaranteed, so you know your liability is handled, before the job is initiated. If you want to learn more about our competitive prices, call us for a free, no-obligation quote for our premium civil asphalt services. Our team of friendly operatives and staff are free to give advice and to perform guaranteed work. They are also trained in all occupational health and safety requirements, so you know that the work is secure and will be safely performed.